Recently Raul over at the Death to Sour Mix blog gave us 3 drinks he enjoyed this summer. That reminded me I wanted to throw up a couple of drinks that have been in regular (heavy) rotation around this house lately. First, my husband, Christopher, who no longer would like to be referred to by ‘husband’ here but by his own name (maybe should have thought twice before he put a ring on it) is not one to turn down a drink. He leafs through all the cocktail books I bring in (never telling me I’ve bought too many. Thank god.) and, in addition to being my test monkey, he very often makes up his own drinks or makes a recipe that appeals to him. 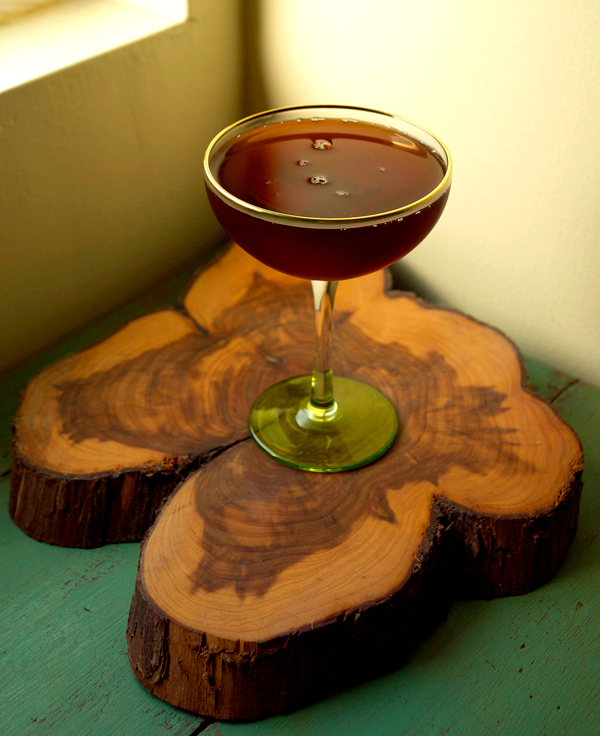 Lately it’s been the Hanky Panky via the PDT cocktail book . But not just your run of the mill HP. 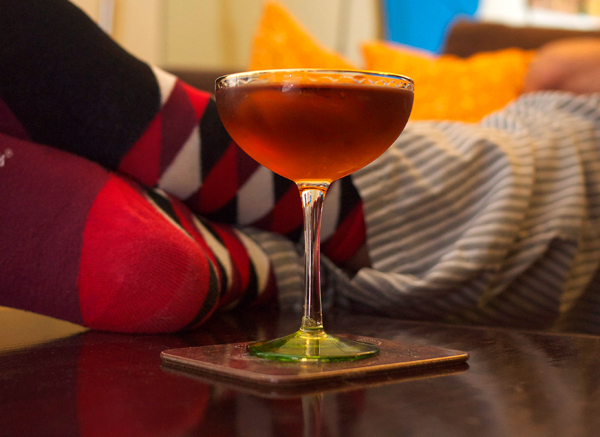 For the Gin, he uses the very assertive Terroir from St. George Spirits. Quite possibly his favorite gin ever. For me, this completely changes the drink and it’s totally something else, in a good way. Like when you put an onion in a martini and get to call it a Gibson. Be warned, this is like a pine forest took up camp in your cup, which you will either love, or not. NO in-betweens here! Stir all ingredients over ice in a mixing glass and strain into a chilled coupe. 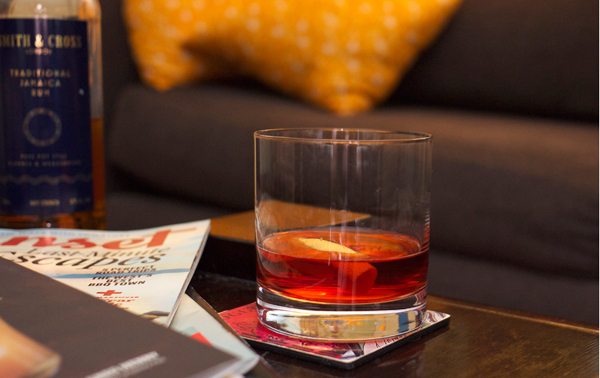 For me, it’s all about this Negroni variation suggested by Michael Dietsch via his Serious Drinks article found here. I mean…dang! Smith and Cross was always a bit too powerful to the point I sometimes was unsure of what to do with it. 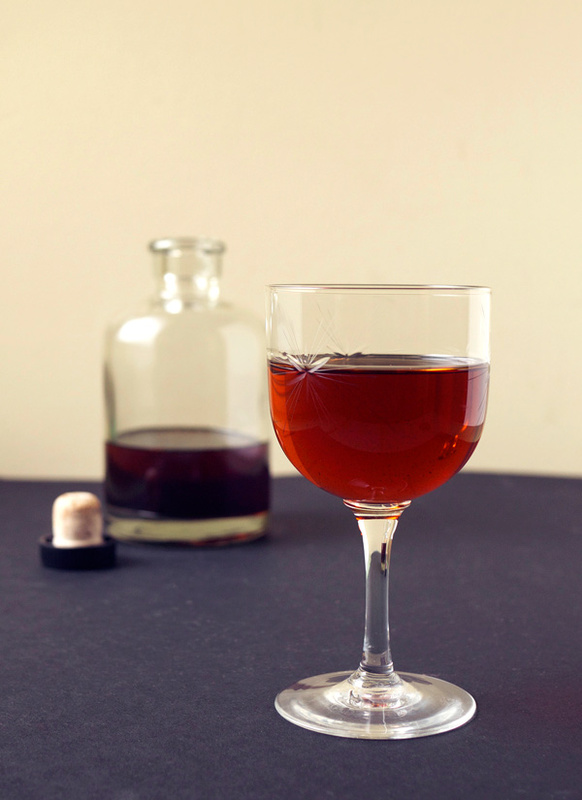 But with Carpano and Campari it tames that wild beast of a rum into delectable smoothness. At first my only addition was adding a grapefruit peel garnish. I’m a bit sad to think about how many grapefruits I peeled to death and then forgot to eat the inside of. I need to learn to supreme citrus already! And then it happened, I ran out of Carpano. Playing my own game of swapping out the liquor I turned to Cocchi Vermouth di Torino and it worked in this drink’s favor. So much so I decided I’d even name this one. In a mixing glass filled 2/3 with ice, add first three ingredients. Stir for 30 seconds and pour into a chilled double rocks glass. Cut a peel of grapefruit about 3 inches long. 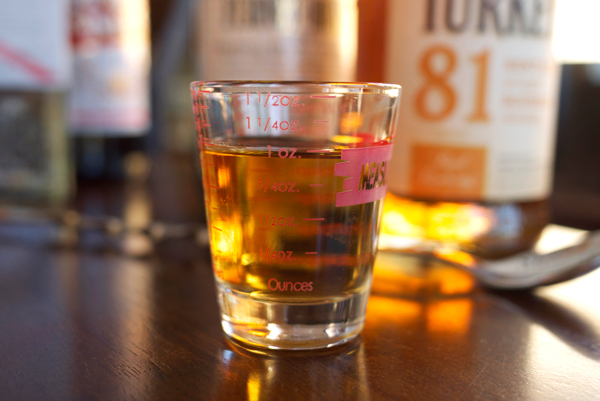 Express the oil over the drink, swab the inside of the glass with the oil and drop the peel into the glass. Why a double rocks glass for that small amount of liquid? It’s all about getting that grapefruit aroma in there and up your nose. When I added that grapefruit peel the first time I tried this variation, bells went off; it was pretty darn perfect for me. And the rest of the drink? Velvet texture. The sharpness of the Smith and Cross is but by the syrupy Vermouth and bitter-sweetness of Campari. Powerful, and yet so easy to drink. So what are you guys drinking at home? 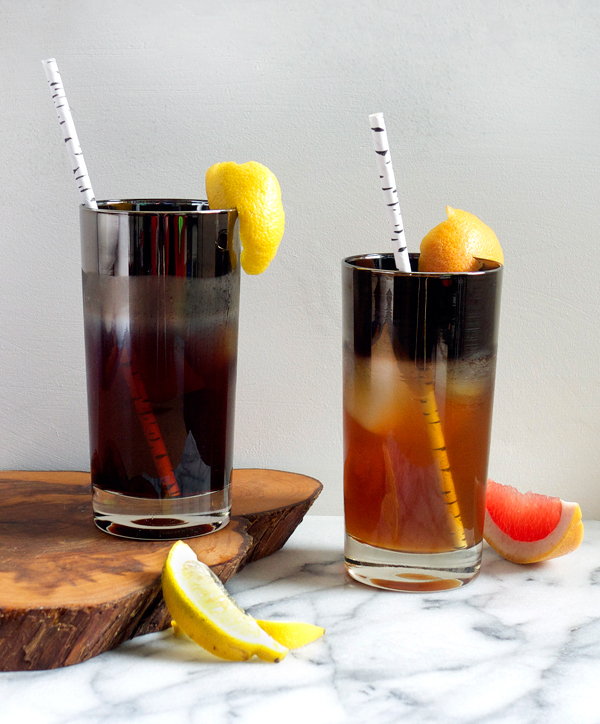 Is it your favorite classic cocktail? Or maybe it’s just a good beer. Let me know! 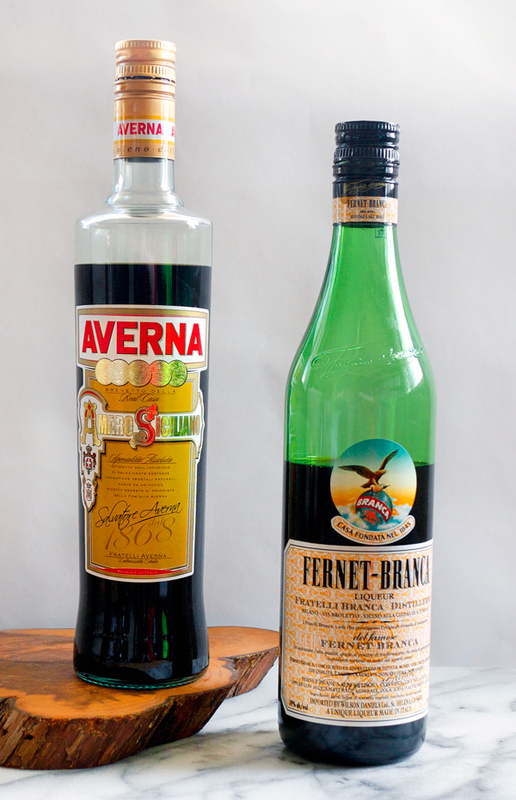 I’ve now found myself in a chatty group of cocktail bloggers who all view Fernet Branca as a tasty shot of awesome. Right guys? And two weeks ago, in a long-winded, nonsensical twitter ramble (isn’t that how a lot of these things happen?) 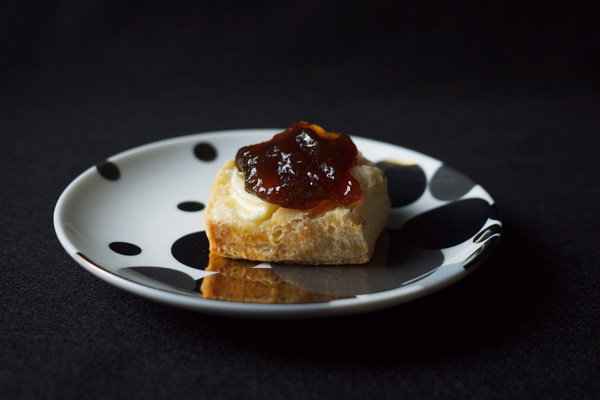 among us, urged on by the Fernet Branca twitter feed, I found I had agreed to making Fernet Branca jelly. Jelly, like, for toast. Jelly with an ounce of booze I’ve heard of, but making a jelly whose star ingredient was the booze? Research was in order. A friend of mine who cans on a semi-regular basis suggested I go look up Wine Jelly. So, jelly made with alcohol was a thing. I found a pretty standard recipe and cut it in half. If this didn’t work out, I wasn’t about to waste an entire bottle of Fernet Branca. I bought a second bottle though as a just in case. Here are a couple things you need to know about this recipe before trying it. I am not a home canner. I made a small batch and it filled about 3 of the small 8 ounce mason jars. With the taste testing I’ve gone through them already (less then a week). Since they did not go through a hot water bath to bring to temp to kill off bacteria, I cannot guarantee how long yours will last. However, if you don’t consume all of it within a few days. Keep sealed in the fridge and eat within a month. If you DO can. Congratulations. Hot water process and keep them in your pantry until you want to use them. I was happy, really happy, after the first pass at this. However, the texture did include some sugar crystals that did not render the jelly smooth as silk. However, one of the aspects of this site is to get YOUR feedback. If you make this and you have some pointers on how to improve up on this, add them to the comments section below. I’d love to hear about your experience. The recipe comes together quickly. So have everything ready once you begin, because you will NOT be able to leave the stove. This is not a super sweet jelly. 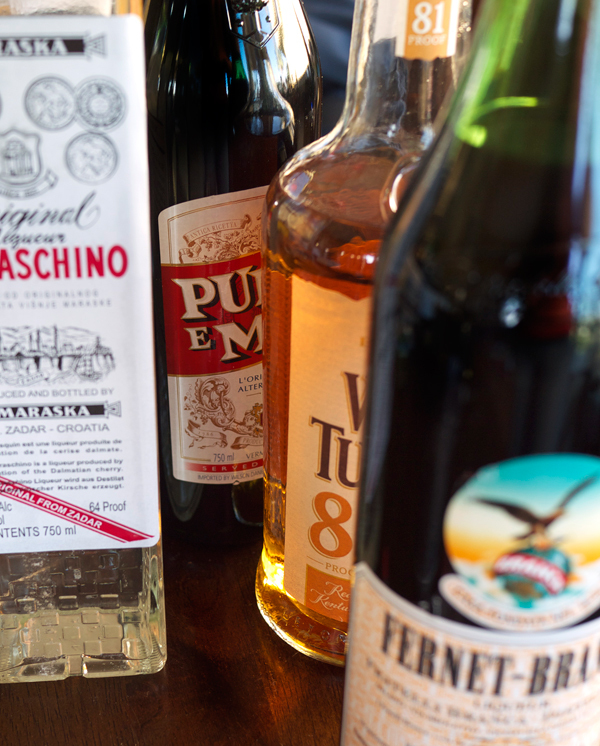 I wanted the flavor of the Fernet Branca to be the star. That’s the whole point of this experiment. That said, there IS sugar added to this recipe, otherwise you couldn’t make a jelly. 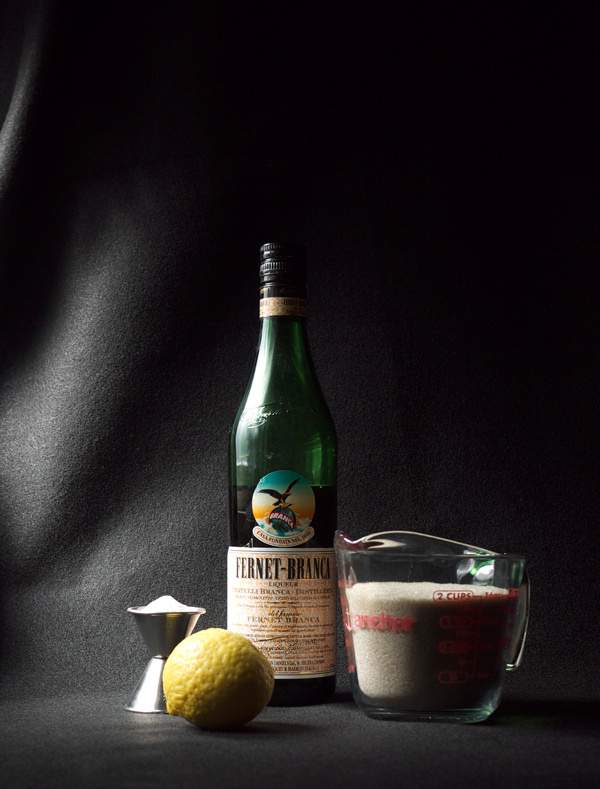 You could always reduce the Fernet over a low heat to make a reduction/syrup. That would also be tasty, but not a jelly. This is a quick cook, and the alcohol is not killed off. There is A LOT that remains. Did I get drunk off of eating this? No, but you can taste the alcohol, so be warned. OK, with those points covered, let’s start the fun. Combine first three ingredients over medium-high heat in a medium sized non-reactive sauce pan (stainless steel is good). Stir constantly until the ingredients start to boil, scraping down the sides all the time you are stirring. Add sugar carefully to the mixture, stir to combine, and keep stirring while bringing back the entire mixture to a rolling boil. Once boil is reached, boil rapidly for two minutes. Remove the pan from the heat and carefully pour into 3 8-oz. sized mason jars, or one large jar with a tight fitting lid*. Cover and let cool. Once cool, store in refrigerator. See notes above about storage. *If you ARE a home canner, at this point process your hot water bath. And the result? 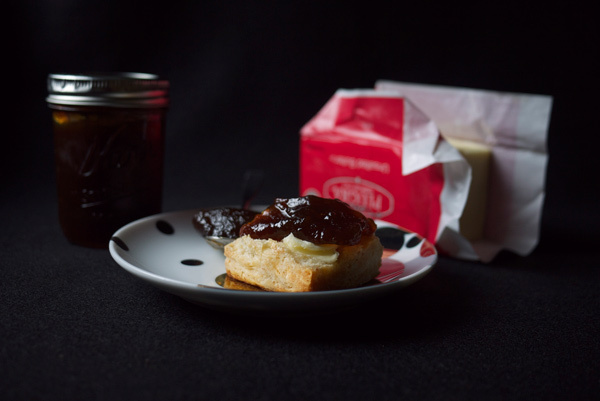 It’s SO Fernet Branca, except slightly sweetened and spreadable. Cooking it does not reduce it’s pungent flavor, as it still has that wonderful minty and bitter flavor. How did I enjoy it? With a generous dab of Plugra butter on a biscuit. Perfect morning fuel. It was also consumed by the spoonful. Are you game to try this? I’d love to hear about it if you do.